Exceptional Service & Remarkably Gentle! Gentle & Painless Tooth Extraction for Any Age! Teeth Extractions: Simple or Surgical Extractions with Bone Graft & PRF (Platelet Rich Fibrin)! Wisdom Teeth Extractions: Wisdom teeth also known as third molars will typically develop between age of 17-25 . If wisdom teeth position themselves in angle, erupt partially, or impacted, they can cause pain, infection, facial swelling, or structural damages to your jaw and other teeth. Thus, they need to be extracted. Adding PRF (stem cell dentistry) during extraction can be used to minimize pain and discomfort and speed up healing process after extractions. Severe Decay / Dental Trauma: If people natural or permanent tooth has decay or damaged, our dentists will try to fix it with filling, crown, or other dental treatments before considering any extractions. If the tooth becomes non-restorable through tooth decay, periodontal disease, or dental trauma, tooth gets extracted to be replaced with dental implants. Advanced Abscess and Infection: Inside your tooth beneath the white enamel and a hard layer called dentin, is a soft tissue called pulp which contains blood vessels, nerves, and connective tissues. The pulp helps growth of your tooth during its development. A fully developed tooth can survive without the pulp. If tooth decay or damage extends to the pulp, bacteria can enter the pulp, leading to infection. Most of the times, the infected pulp can be corrected with root canal therapy (RCT) and antibiotics. However, if the infection is server that antibiotics or RCT do not cure it, then tooth needs to be extracted to prevent the spread of infection. Then extracted tooth can be replaced with dental implant to maintain the anatomy and original teeth functions; otherwise, your oral health could be compromised due to bone loss, teeth shifting, change in your bite, and change in jaw joints. In Orthodontic Process: In orthodontics, the goal is to properly align the teeth, which may not be possible if teeth cannot break through the gum (erupt) due to being too crowded. In this situation, sound teeth may be extracted to create space for the rest of the teeth having enough space to move & getting straightened. Supernumerary (Extra tooth) and Impacted tooth: One development problem that a child can experience is the formation of supernumerary tooth, which is an extra tooth that lies between a person's central incisors (the center two teeth). if more than one is present, the "mesiodentes" is used. This formation could happens due to extra tooth buds, genetics, medical syndromes, The formation of mesiodens could lead to many problems such as problems with teeth coming in, crooked teeth, root abnormalities, cysts, and ectopic eruption (erupting in nasal cavity or patient's palate instead of erupting through gums). Non-surgical Extractions: If the tooth is visible, it can be removed with a simple tooth extraction. First, you will be numbed with a local anesthetic for lasting comfort. Dr. Horiyat will then gently extract the tooth. Surgical Extractions: This method is used for broken teeth, not erupted, or having curved roots. In surgical teeth extraction, Dr. Horiyat administers a local anesthetic and remove the tooth through a small opening in the gums. For your comfort, we offer different type of sedations. What Type of Anesthesia Is Used for Dental Extraction? During extensive continuing education, our dentist received extensive training and experience in dental aspects of anesthesia. Prior to your procedure, your can expect Dr. Horiyat to give you a complete review and description of the specific types of anesthesia. Socket preservation or alveolar ridge preservation is a procedure to reduce post extraction bone loss and the risk of dry socket. After tooth extraction, the bone quickly resorbs, resulting in 30-60% loss in bone volume. Bone shrinkage can create difficulty for future restoration treatment, jaw bone defect, and also decrease the supporting bone for the adjacent teeth. To reduce post-extraction bone loss and dry socket, dentists at Aria Dental could do socket preservation and regeneration by filling the socket with bone graft materials or a collagen plug, platelet-rich fibrin (PRF), and/or placing a dental implant in the same socket immediately after tooth extraction. 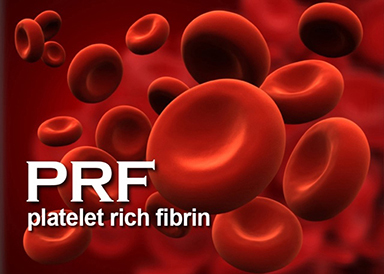 Platelet-rich fibrin (PRF) treatment, a therapy created from your own blood, has been recently introduced to dentistry and adopted by modern dental practices to speed up healing process of soft and hard tissue, to reduce pain & inflammation after extractions. Our dentists at Aria Dental of Mission Viejo have also adopted PRF treatment and made available to you.